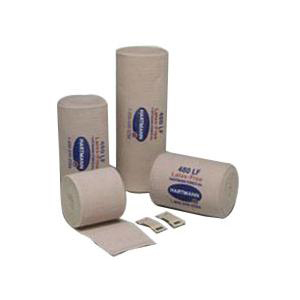 REB LF and Econo-Wrap LF are standard grade woven bandages that offer balanced stretch and compression. These all-purpose bandages are lightweight and ideal for securing splints, dressings, ice packs and for use in the treatment of varicosities, sprains and strains. They offer latex-sensitive patients and health professionals an alternative to latex rubber elastic bandages. Resist deterioration from ointments and medication. Withstand numerous washings and sterilization. Sterility assured by easy-to-open Tyvek pouch.